The Young Artist Vocal Program offers performance-oriented classes geared to the needs of the serious young classical singer. In addition to the regular Young Artist curricula in music theory and music history, students also attend classes in the fundamentals of language and singing diction, vocal chamber music, and performing skills. All students must also take a weekly 45-60 minute private lesson. Performance requirements include solo and chamber concerts, and a year-end formal evaluation. Experienced singers aged 13 and older are invited to audition for YAP Vocal Performance. Singers younger than 13, or with minimal performing experience, are invited to audition for the Young Musician Vocal Studies Program. YA Vocal Performance majors together attend two classes which are designed to meet the needs of the serious young classical singer. – Vocal Repertoire Class focuses on communication, performance, and technique through study of chamber music and solo song repertoire. – Language and Diction for Singers addresses the basics of the International Phonetic Alphabet and fundamentals of the principal singing languages: Italian, English, Latin, French, German and Spanish. Master classes are included in Audition Skills, Baroque Ornamentation, Acting Songs, Vocal Health and Anatomy, and Performance Anxiety. 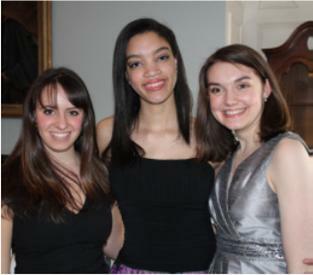 Vocal students also attend Music Theory and Music History classes. YMP Vocal Studies Students will attend the Vocal Skills Class, where they work on vocal technique, poise and stage deportment, and vocal independence. Class work will include some ensemble singing, and the opportunity to work solo repertoire with a pianist. All voice classes are taught by Danielle Sinclair. YAP students are recommended for the program based on an audition and a written recommendation from their private teacher. The program is open to students who study with teachers on the Conservatory faculty as well as to students who study privately elsewhere. All students are required to take a weekly private lesson of a minimum of 45 minutes. What our students are saying ….